The word ghosts is arguably one of the most searched terms on the Internet and ghosts have been subject to speculation for millennia. Do they exist and if so what are they like? 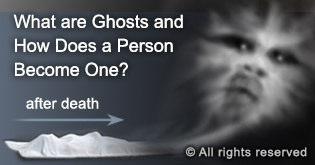 How do people become ghosts after they die? 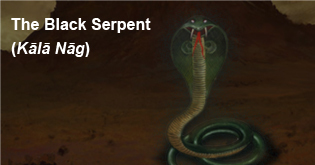 In this section SSRF provides an in depth view gained through spiritual research on various aspects of negative energies right from the common ghost to the powerful subtle-sorcerer also known as a mantrik. 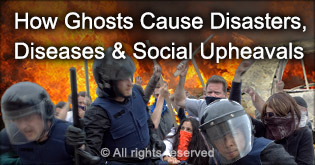 The world of ghosts is all around us and they can affect us in various ways. Perhaps one of the main reasons they affect or possess a person is to satisfy their desires through that individual. However as we go higher up in the hierarchy of negative energies, it is more about exerting their power over society. 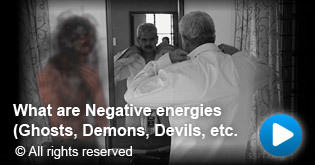 Negative energies accomplish their goals through an intricate well organised hierarchy of power similar to that of the mafia, and because they are subtle in nature they almost always go unnoticed and unopposed. Regular spiritual practice is the only way to protect oneself from the dark side of the spiritual dimension. 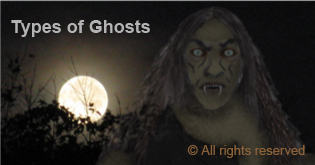 The purpose of this section is not to scare our readers, but to educate them on the world of ghosts (negative energies) and how they affect our lives. 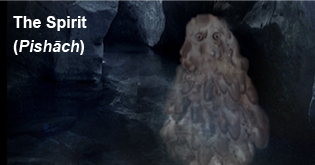 Through spiritual research we have found that any one can become a ghost. The desires, cravings and attachments we have during our life on Earth if not controlled and overcome, become our weak point in the afterlife. 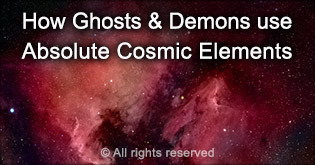 Higher level negative energies control lower level ghosts in the afterlife. In horror movies we often see ghosts terrorising people. However this is not the only reason they affect people. 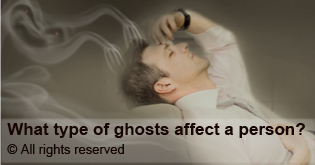 Depending on a person’s activities the objectives of ghosts may change. ‘Hell’ would be the natural answer that would come to our minds. What most of us do not know is that there are many planes of existence in Hell. 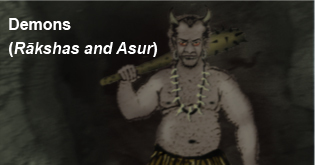 Depending on the power of a negative energy, they exist in various regions of Hell and can exist in other regions including the Earth plane of existence. 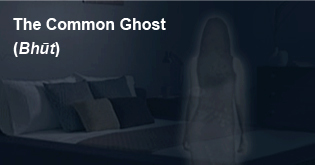 A good ghost or ghost doing spiritual practice seems contradictory like an oxymoron. We rarely think of ghosts being good unless of course we are readers of the famous cartoon Casper the Friendly Ghost. Through spiritual research we have found that negative energies can do intense spiritual practice but it is not for good. When we refer to all ghosts as ghosts, we may not realise that there is a wide range of negative energies in the spiritual dimension. 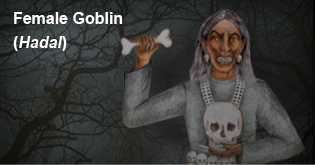 In this article we examine the main types of negative energies based on relative strength from the ‘common ghost’ to the powerful ‘subtle-sorcerer’ also known as a mantrik. On some occasions, a ghost materialises and can be captured on photographs. This article explains the mechanism behind this phenomenon and shows some examples of how they can appear. 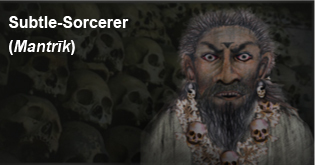 This gallery depicts three subtle-sorcerers that were tormenting seekers of God. 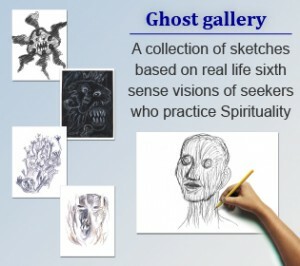 The images depicted in this gallery are drawings based on subtle-knowledge and differ from the images of ghosts that we generally come across. How old are ghosts? Are they male or female? Do ghosts have intelligence? Here are the answers to such questions. By studying demonic possession one can get some inkling as to what kind of ghost is possessing someone, but without advanced sixth sense it is impossible to know for sure. 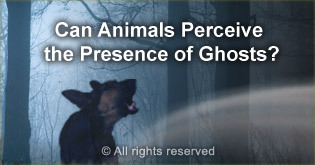 Animals can generally perceive negative energies, but their limited intellect prevents them from knowing much about the type of ghost, its strength, etc. 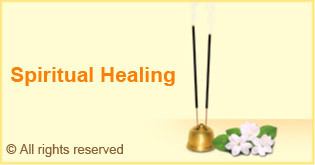 Depression and mental health issues are almost always aggravated by negative energies. How spiritual healing helped Luis overcome sexual thoughts caused by a ghost. This is one of the more spectacular cases of a ghost attack we have been witness to. Caroline’s desire to be in lesbian relationships was due to possession by a subtle-sorcerer. 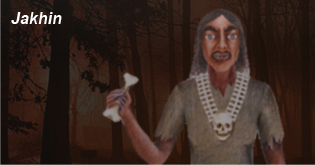 Pratik suffered from compulsive overeating due to a departed ancestor. This video gives an explanation on what are ghosts (negative energies) and their relative power. Did you know that Halloween is an example of a festival that is created by negative energies and ghosts to affect people? Holy ash is one of the spiritual healing remedies that helps to protect oneself against negative energies (ghosts) attacks. 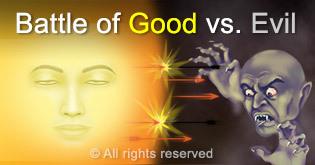 Do you know that the world is in the midst of gigantic battle between forces of good and evil? 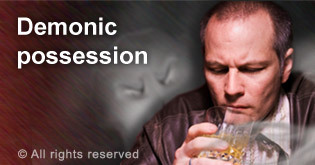 Demonic possession refers to the state of being partially or totally controlled by one or more ghosts. 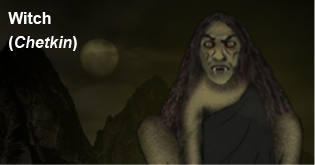 A third of the world’s population is possessed without knowing it. 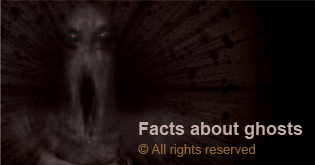 SSRF has witnessed and documented thousands of paranormal events. 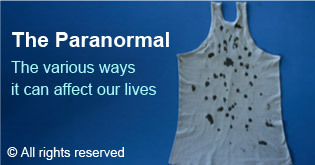 Various case studies with respect to the paranormal along with pictures are provided here. 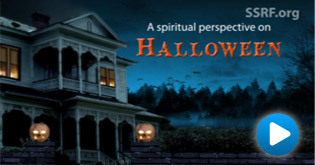 We can combat ghosts, black energy and demonic possession with regular spiritual practice and the application of spiritual healing methods. 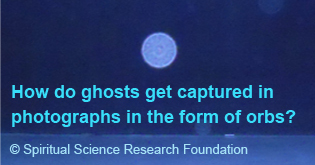 What does spiritual science tell us about the phenomenon of capturing ghosts in a bottle? Is it possible? Quite often we come across people who are interested in Spirituality, but evade listening to any mention of negative energies or ghosts.